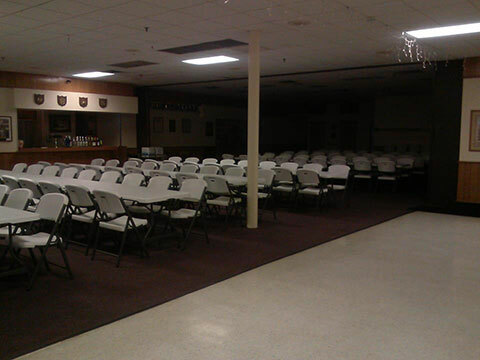 The Legion Purchased New Tables And Chairs For The Banquet Hall In May, 2014. 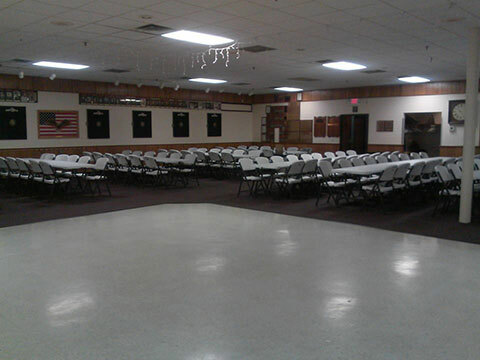 The Banquet Hall at the Legion seats about 200 people and has a bar option as well as the use of the kitchen. If you are interested in reserving space, please call the Legion office at 651-777-3708 ext. 204 and ask for Shelly, Hall Manager. Banquet Hall: The Banquet Hall is available for bookings now on Fridays.